Add additional features to your property listing, availability dates on rental properties now showing. Set your own additional features for property listings. We often get requests from clients wanting to add more listed information on a property listing, other than the info that is already available on the OMS. You can add additional features to your listings in the OMS by setting these features in your parameters such as irrigation systems on farms and small holdings, ocean views for sea front properties or additional parking options for commercial property. 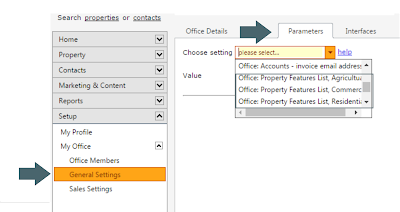 Log on the the OMS > click on setup > My Office > General Settings > Choose the parameters tab. Select the type of property (residential, commercial or agricultural) to which you want to add the additional feature. Add your features by separating them with a comma only. Save your additional features. 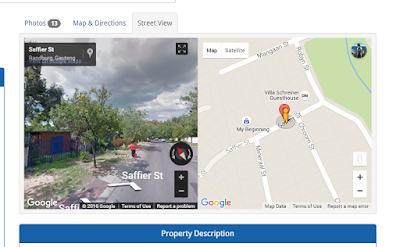 We have tweaked and enhanced the Google Street view feature on Flex websites by moving the Streetview to a separate tab on the property listing view. Street View will automatically show for listings that are geocoded in the OMS and where the 'show on map' feature is selected. Google Street View is not available everywhere, but we do a check for availability. If your online marketing strategy does not contain Google AdWords as a component, now is the time you should take advantage! 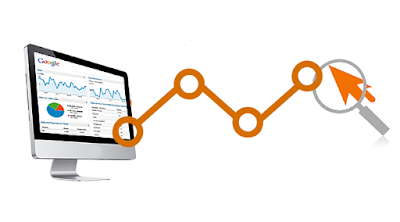 If you are not familiar with Google AdWords, it is essentially a pay-per-click marketing service which allows carefully created advertisements to reach the right audience, directing them to your website. Did you just sign the property listing of the year or is there a particularly stunning property you would like to showcase as a featured property on your website? 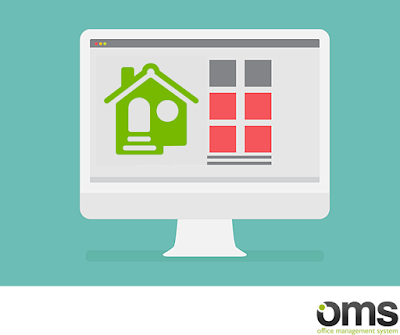 If so, then this quick guide on how to add a property as a featured property on your responsive Flex website is a must. Your website will automatically showcase all your latest listings, but as we know new listings can come in quickly and sometimes there is a certain property that just needs to be in the limelight a little longer due to its fantastic price, prime location or unique design.